Scania is facing a major technological shift as part of its transition to simulation-based development. Vehicle development has traditionally relied heavily on testing, both in terms of design and verification at various stages. Demands on reliability are understandably extremely high. It is especially important to emphasise that a truck is a production tool – a cogwheel in a complex logistics system. In a 'just in time' world, margins for delivery delays are non-existent. For example, a bus operator in Stockholm Municipality must be able to satisfy requirements for 99 percent availability. The strategy within the industry has been to test, retest and test again. And this has paid dividends for Scania in the form of declining guarantee costs and better product quality than what would have been possible in the past. The amount of testing being done has had a tendency to increase instead of decrease, as electronics systems are beginning to control a growing number of functions in heavy vehicles. In this environment, simulation-based product development is on the precipice of a breakthrough. Scania has been able to report good earnings – save for the few years spanning the 2008/2009 financial crisis – and there has not been significant pressure to embrace more modern calculation and testing methods. But it is becoming apparent that, in the long run, it will no longer be possible to handle expanding requirements for verification with conventional physical testing – not in terms of staff, premises or finances. 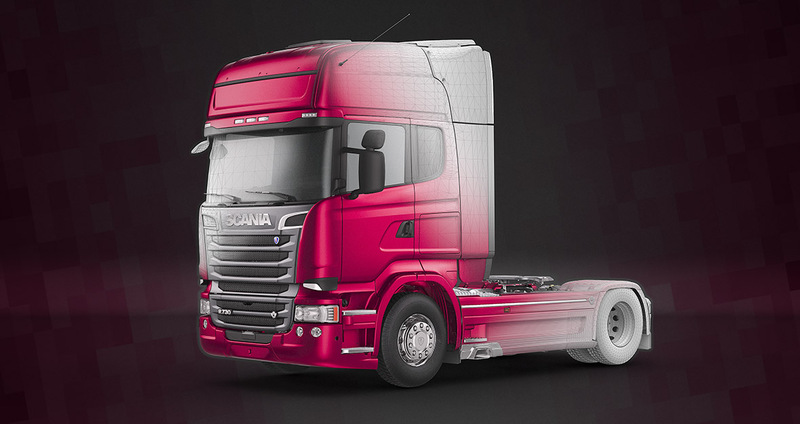 The benefits offered by simulation-based product development are many, but will primarily result in better resource utilisation for Scania's research and development, along with shorter lead times, the ability to cope with growing complexity and greater capability to predict product properties. By and large, this is about establishing a virtual flow of prototypes at various cohesive levels, including entire engines, chassis, cabins and even whole vehicles. This necessitates that methods for simulation-based product development are established with a proven ability to produce the desired results. Within operations, virtual evaluations will be conducted at the same rate as the development progresses. "We shall have decision-making based on virtual evaluations," says Oskar Thorin, Head of Scania's development department for vehicle dynamics and chassis design. "There's no point in embracing simulation-based product development if we do not then also have the courage to utilise it as the basis for decisions. And we must ensure that all simulation results are available at the same time instead of evaluating each simulation whenever it's finished." Mapping out the simulation methods is a prerequisite to determining the precise application area. What part can they play? For which decisions can they be used? "We need to know this in advance so that each design team has clear information in good time regarding which simulation is required for a specific decision." This means that simulations for strength, flow estimates, sound and vibrations, dynamics and, finally, simulations to determine whether the new components fit together must be performed at the same time. "Only then will we be able to take full advantage of the process. Waiting times are eliminated because everyone's calculations are ready. In addition, we can carry out parallel tests using computers which cannot be done physically, such as simultaneous brake and airflow tests. When everyone receives the same documentation at the same time, we can synchronise the pace and pulse, including within the design teams." By having consolidated results, it becomes much easier and quicker to perform repetitions in the development if needed. This allows numerous deviations to be dealt with simultaneously. "There's no point in conducting positioning and installation analyses only to discover – seven weeks later – that the components do not hold together or are located in areas that can get too hot." Trucks, buses and engines are, as previously stated, work tools which contribute to a customer's revenue. Scania shall therefore offer customers product properties that meet their needs. Iterations performed early on are conducive to quickly improving properties and quality in a resource-efficient manner. When targets for the desired and required product properties are stipulated, early simulations help prevent late, superfluous, costly and time-consuming (yet necessary) reworking in order to rectify errors detected late in traditional testing. "The goal is not to reduce the number of iterations," explains Kent R Johansson, Senior Technical Advisor for simulations within Scania's research and development. "We actually want more. We want development to be front-loaded, which is quicker and easier." Scania's research and development points to several benefits which can be gained through simulation-based development, with reduced resource consumption among them, primarily owing to the need for fewer prototypes. Lead times to product launching can also be drastically shortened by eliminating – or significantly reducing – a full stage of development. Design changes can be more rapidly introduced in the event of field quality issues, to the benefit of Scania and the customers. The fact is, each design can be optimised through the repetition of virtual attempts as early as during the design stage. Every attempt is followed by a minor design tweak in order to achieve optimal results as quickly as possible. "We call this Design-Related Calculation and we quickly work towards an optimal design by employing an iterative process," says Kent R Johansson. "Simulation-based engineering our only hope"
"The most important thing is to keep the vehicle's properties in focus from a customer's perspective. We shall continuously optimise designs to achieve the properties our customers value, as well as for Scania's assembly process. We must also manage to optimise and verify the plethora of combinations offered by our module program. Simulation-based engineering is our only hope to do this." 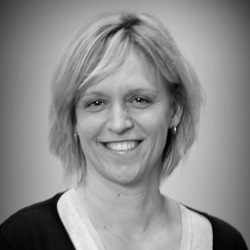 All of this requires a shift in mind-set and faith in computerised testing, which Oskar Thorin is convinced will eventually gain ground. "We must have the courage to trust in simulations and choose to make decisions based on them. We should not wait for test results 'just in case'. It's akin to throwing away a document but, before you do, just make sure to have a copy!"